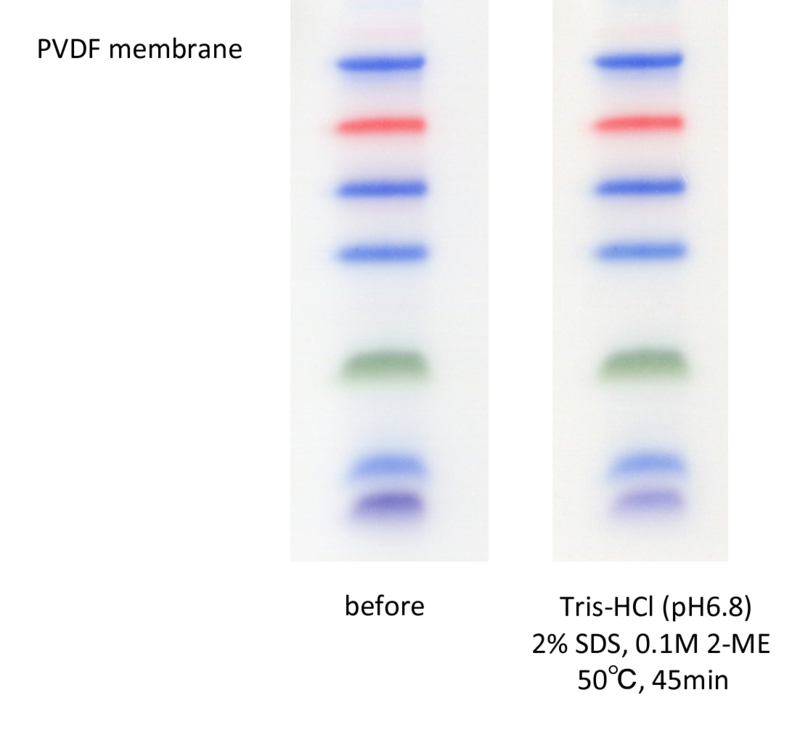 DynaMarker®Prestained Protein Molecular Weight Makers | BioDynamics Laboratory Inc.
DynaMarker® Protein MultiColor Stable, Low Range is suitable for low molecular protein analysis. This marker is stable at 4°C for as long as one year. Stable at 4°C for as long as 1 year. The high stability keeps the sharpness of bands. Suitable for monitoring gel electrophoresis and transferring onto membrane. Stable to wash buffers (TBST or PBST) and stripping buffers containing 0.1% Tween-20 for western blotting. only for use with Tris-Tricine-SDS electrophoresis buffer. β-Amyloid (1-42) and this marker were transferred onto nitrocellulose membrane, and detected with anti-β-Amyloid antibody and DAB stain. 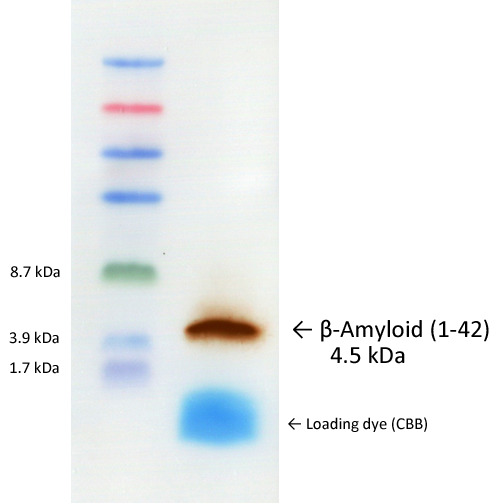 These colored bands of this marker remained on the membrane through the western blotting. In addition, the apparent molecular weights of colored bands were accurate. This marker was transferred onto PVDF membrane, and then PVDF membrane was incubated in harsh stripping buffer (containing 2% SDS and 0.1 M 2-mercaptoethanol) at 50°C for 45 minutes. These colored bands kept visible clearly, even after the stripping buffer treatment. 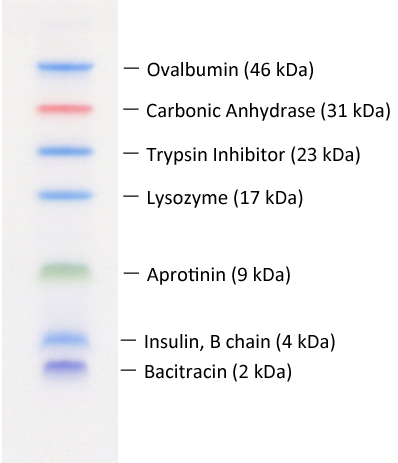 *Depending on the membrane type or stripping buffer composition, these color bands may become pale.